California Democrats are seeking to weaken the protection for business property in Proposition 13, the 1978 tax limitation measure passed by voters. If the Democrats are successful, it could result in an annual $10 billion business tax hike, and over five years a loss of nearly 400,000 jobs and a $72 billion hit to California’s economy, according to one study. AB 188, by Assemblyman Tom Ammiano, D-San Francisco, requires that commercial properties be reassessed whenever there’s a 100 percent change in ownership of those properties. Currently, business partners who purchase a property can avoid reassessment as long as none of the partners owns more than 50 percent of the property. Democrats consider that a loophole — and a potential cash cow for the state treasury if the loophole is closed. Ammiano echoed those themes as he introduced his bill to the Assembly Committee On Revenue And Taxation on Monday. 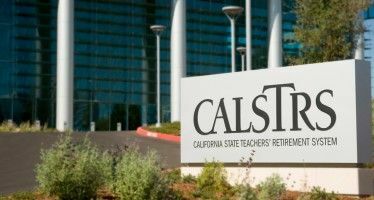 “While teachers and police are being laid off and children are being denied access to critical medical care and struggling families are being forced to bear a larger tax burden, it is appropriate that we close loopholes such as this which benefit major corporations at the expense of both small businesses and the average Californian taxpayer,” he said. Ammiano was backed by Lenny Goldberg, executive director of the liberal California Tax Reform Association. He said E&J Gallo used the loophole to avoid a property reassessment when it bought the Louis Martini winery in St. Helena in 2002. Also supporting AB 188 was Christie Bouma, representing California Professional Firefighters. Many fire district budgets were hit hard by property tax reductions during the Great Recession. Exactly how much revenue would be raised by more frequent reassessments of commercial properties remains to be seen. It could be far less than the $6 billion annually that Democrats are salivating for. The Board of Equalization estimates that the annual property tax revenue increase associated with the new “change of ownership” rule would be $77 million per year, according to the bill’s analysis for the committee hearing. “Increasing the taxes of businesses by $6 billion would result in lost economic output and decreased employment. The cost to the California economy of this property tax increase would total $71.8 billion dollars of lost output and 396,345 lost jobs over the first five years of a split roll property tax regime. These losses would be even greater in succeeding years. “The introduction of a split roll property tax valuation system would result in increased instability for local government finances, as they would become more directly susceptible to the value gyrations of the real estate market. For example, in 2008‐09 when California property values faced the traumatic decline in the wake of the sub‐prime crisis and the market collapse (industrial and commercial values fell 6.5 percent), property taxes collected from these same properties actually rose 5.0 percent. “A split roll property tax valuation system would also further undermine the attractiveness of the business climate in California. Because small businesses typically lease properties where the cost of property taxes is passed through to the lessee, this research concludes that the employment losses described above would be disproportionately concentrated in small businesses, and especially those owned by women and minorities. Gina Rodriguez, representing the California Taxpayers Association, expanded on those points to the committee. “The bill represents an erosion to the Prop. 13 protections that voters approved for all Californians almost 35 years ago,” she said. “This is inconsistent with the philosophy of Prop. 13, which is taxpayers’ collective response to dramatic increases in property taxes and which passed with 65 percent of voter. “Beside capping the property tax rate, limiting the annual assessment increase and establishing vote thresholds, Prop. 13 also converted the property tax base from a market value system to an acquisition value system. With the acquisition value system, Prop. 13 removed much of the fluctuation of property tax revenue, creating a more stable revenue source for local government. Rodriguez responded to the Democrats’ arguments that Prop. 13 has hurt government revenues and shifted the tax burden from businesses to homeowners. One of the few bright spots in California’s sluggish economy has been the revival of the high-tech industry. But Kelly Hitt, representing Tech America, said that could be in jeopardy if AB 188 passes. AB 188 was sent to the committee’s suspense file, and will likely be voted on in May. Just another reason why the productive, taxpaying folks need to get the heck out of California. Leave the state to the welfare loving, public employee union supported democrats. Join them, Mike. Get yourself out of here and move to a place with the kind of roads, education system and public services you deserve. I understand Mississippi is lovely this time of year. Kalifornia, the greatest place on earth to be unemployed. We can all go live in the re-ed camp with Queeg and Uhaul, no property tax payements required. Win-Win. I believe you need to look at what is happening in California without your rose colored glasses. Just one area will illustrate the deterioration; that is public education. My daughter and my wifes and my best friends are all teachers with numerous stories practically weekly about the public school failures in teaching our children anything. The students are inattentive, don’t want to do their work, expect great grades not deserved, and their parents don’t care. Ck how far the California schools have fallen in recent years. But the proper response by We the People should be an Initiative to Abolish the Tax on Property altogether. And everytime they try to Raise another Tax it should be abolished in it’s entirety by the initiative process. Unfortunately 2/3 of the residents are COLLECTING GOVERNMENT MONEY. Its gonna happen, the dems are in total control. Public education starts at home. I did not expect the “public” to educate my children. I had them reading the classics at an early age. I took them to bookstores, museums, science exhibits and the like. They had to go to public school, which is the law. They were bored to tears and got crappy grades. They turned out smarter than me in many respects and for a while one of them was making more money than me. The only thing I have on them is old age. Give anyone who stays in business in this state five years and MBA. They earned it. 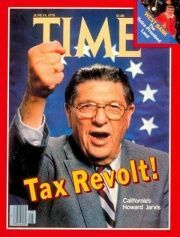 Prop 13 was always just a cover for getting property taxes reduced on business holdings, particularly apartments like old slumlord Howard Jarvis and his buddies owned in Santa Monica at the time. It’s long past time to apply it only to residential properties, like its proponents claimed was its purpose back when it passed in 1978. Whiners just move. You’re depressed……so so sad! There is always some interest behind anything and everything that goes on. I remember the story line was old people were getting taxed out of their houses. Whatever happens, we the people will pay eventually. It could be thru lost jobs or higher rents. There are costs to everything we do. To be sure, businesses get a break. My dad was a part time lobbyist for his business association. He told me that businesses pass laws to make money, not to lose it. It was one of my earliest lessons from a dad who died young. Your dad was a wise man. Raising property taxes on businesses is further proof of one of the democrat party’s articles of faith that success should be punished and failure rewarded. Democrats don’t believe in wealth creation. They take the myopic view that money and wealth is a zero sum game. To them Bill Gates got rich by making some else poor; Henry Ford got rich by making some else poor; Thomas Edison got rich by making some else poor. Never mind the fact that those men improves the lives of millions of people and made a million more people rich. Democrats derive their power from dependence and poverty. The more poor people there are, the more they depend on democrats who take from the productive and give to the nonproductive. When businesses are unfettered by draconian regulations and high taxes, they employee more people who no longer need the democrat party’s largess. This erodes the democrat party’s base and so they must punish businesses via taxation to maintain their base. Democrats don’t get it that in order for a business to be successful it must grow and in order to grow, it must have customers to sell their products too. In order for their customers to buy their products those customers must be gainfully employed. The more people employed, the more they can afford and the more they can afford the more businesses succeed and grow. You can not have one without the other. Are higher taxes killing CA tax collection?